5 Star Collision Center issues a Limited Lifetime Warranty with each repair we perform. Although it is not transferable, it is good for as long as you own your vehicle. In addition to our warranty, BASF’s VisionPLUS Warranty provides a lifetime warranty on R-M refinish systems. While it is doubtful that a vehicle repaired with a quality BASF refinish product will need a warranty repair, our warranty covers cracking, hazing, chalking, fading or peeling. 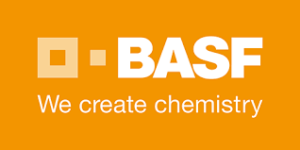 With BASF, you are getting the highest quality finish in the world.